The rocket’s payload — the Amos 6 communications satellite owned by Israel’s Spacecom Ltd. — was mounted on top of the Falcon 9 for mock countdown. Amos 6 was due to launch two days after the accident. The Falcon 9 rocket’s upper stage liquid oxygen tank contains several composite helium vessels, each pressurized to about 5,500 pounds per square inch in flight. 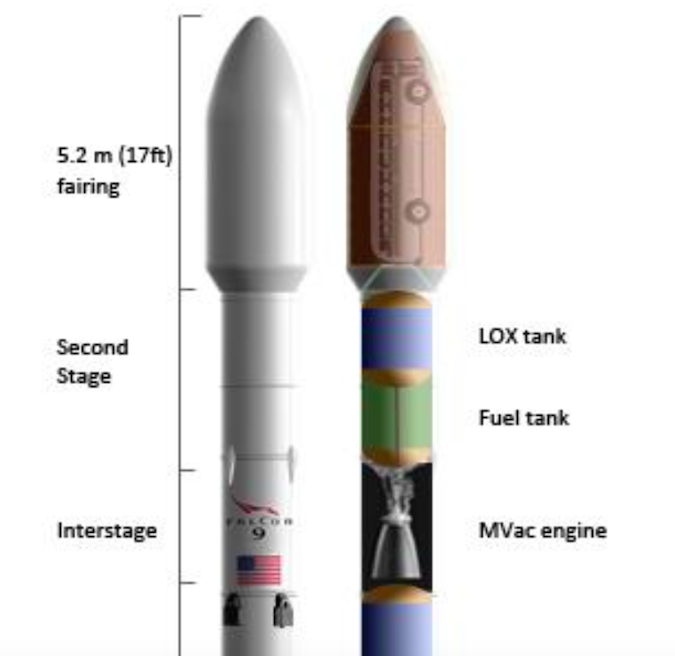 The helium is routed through the second stage’s Merlin engine, where the helium warms up and is injected into the rocket’s propellant tanks to pressurize the stage as the launcher burns fuel, keeping the tanks structurally sound. While cryogenic helium was aboard the Falcon 9 at the time of the explosion, the mishap occurred around eight minutes before the rocket’s main engines were scheduled to ignite for the on-the-pad “static fire” test Sept. 1. At that point in the countdown, the propellant tanks are normally not pressurized for launch. The explosion on the launch pad is the second time SpaceX has lost a Falcon 9 rocket. In June 2015, a Falcon 9 booster disintegrated about two minutes after liftoff with a Dragon supply ship heading to the International Space Station. SpaceX’s probe of that failure concluded it was probably caused by a weakened strut holding one of the helium tanks inside the second stage’s liquid oxygen tank. 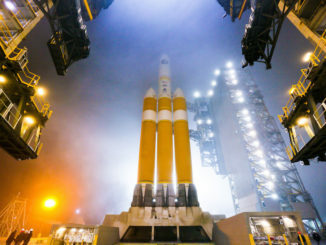 The bracket fractured under the high acceleration of launch and one of the helium tanks broke free immersed inside the upper stage’s reservoir of super-cold liquid oxygen, the company said last year. The tank over-pressurized and ruptured as the helium spilled from its composite container, according to SpaceX, which said it would no longer use the same type of strut — provided by an external suppler — in future launches. Despite the close proximity of the failure modes in both accidents, SpaceX said investigators “have exonerated any connection with last year’s CRS-7 mishap,” referring to the name of the failed flight in June 2015. The company’s statement Friday offered no details on how engineers concluded the accidents shared no linkage. Meanwhile, ground crews at Cape Canaveral are examining the damage at Complex 40, SpaceX’s primary launch pad. The company said “substantial areas of the pad systems were affected” by the explosion, but several key pieces of ground equipment escaped major damage. 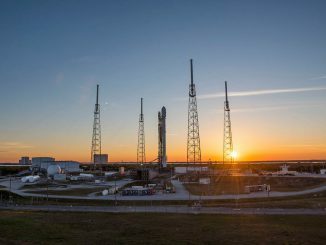 Holding tanks and pumps for the launch pad’s RP-1 kerosene fueling system were “largely unaffected” and the pad’s control systems are in relatively good condition, SpaceX said. Contrary to initial reports, the company confirmed no debris left the immediate area of Complex 40 during the explosion. Construction at nearby launch pad 39A, a former space shuttle launch complex at NASA’s Kennedy Space Center a few miles north of Complex 40, is on track to have the facility ready to support Falcon 9 flights in November. SpaceX leases pad 39A from NASA. SpaceX’s Payload Processing Facility, a renovated Titan rocket assembly building, is also fully operational. It is located a few miles to the south of Complex 40. Officials said SpaceX’s rocket factory in Hawthorne, California, continues producing Merlin engines, Falcon rocket tanks and other systems in a “methodical manner” as the components are cleared by the investigation. 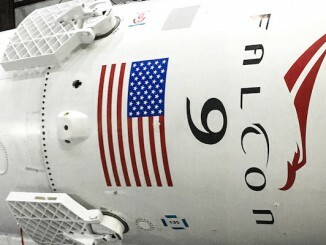 SpaceX has not announced what payload will fly on the next Falcon 9 launch, or whether the mission will blast off from pad 39A in Florida or a launch pad at Vandenberg Air Force Base, California.